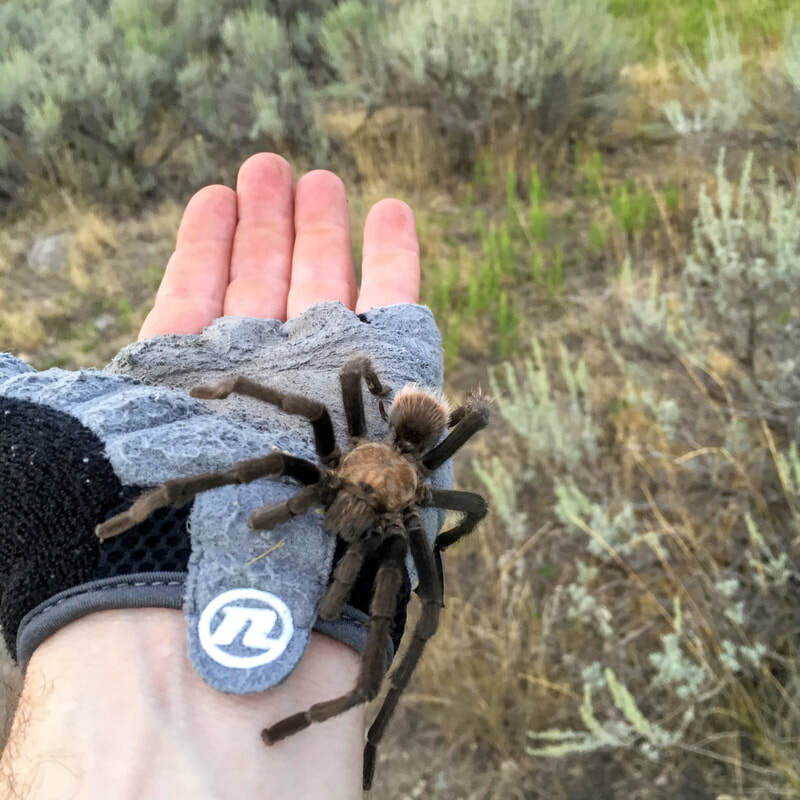 Utah is home to three or four different species of tarantulas. Most of them live in the southern part of the state, but here in Alpine we are in the very northern part of their range. The reason we rarely see them is because they burrow into the ground and catch prey (crickets, centipedes, mice) from the opening of their burrows, darting out to bite their victim and pull it back to the safety of their home for feeding. In addition, tarantulas are nocturnal creatures, venturing out only after most humans have gone inside for the night. However, in September and October the male spiders go on the prowl in search of a mate. This is your best chance to see a tarantula in the wild. In spite of their fearsome appearance, tarantulas are harmless to humans and large pets. Their venom is relatively harmless, and a bite might feel similar to a bee sting. 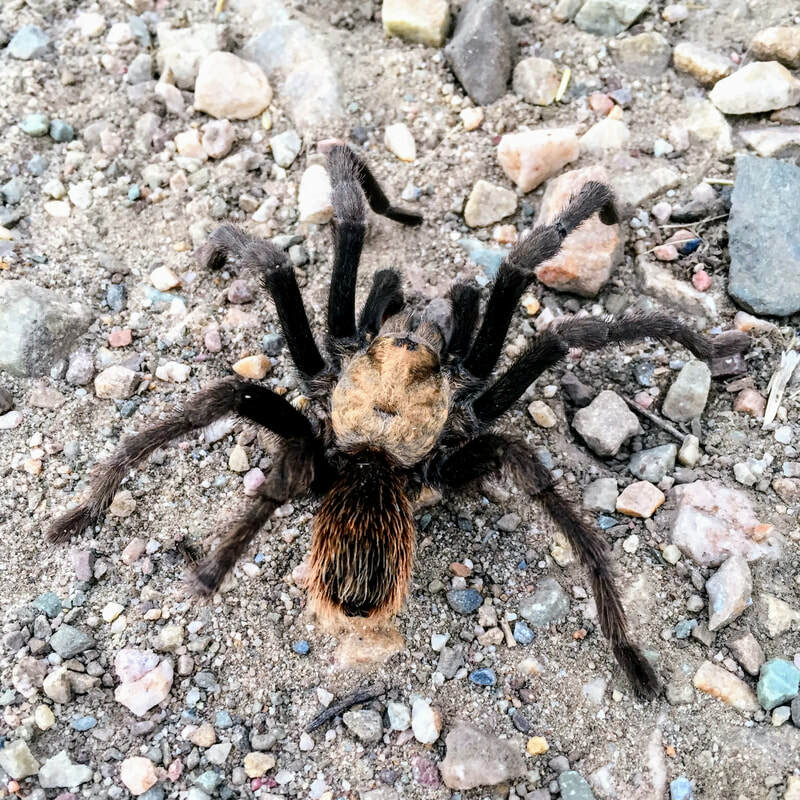 This tarantula encountered on a path in Lambert Park was named Seven. Can you guess why?